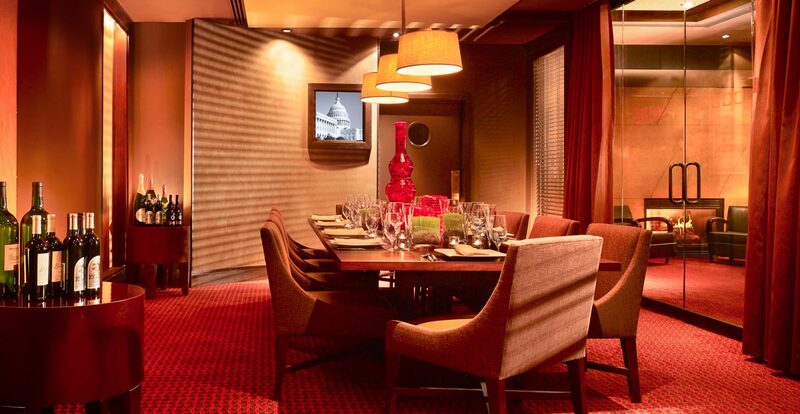 Numerous DC hotels and venues have just what you need to host an amazing private or executive meeting. Picking out the perfect venue to host your next intimate meeting can be difficult. You have to find a great space, the ideal technology, on-site dining and fun pre- and post-meeting activities that suit your group. Fortunately enough, when you turn your attention to the nation’s capital, you’ve got options. Spread throughout DC’s many vibrant and unique neighborhoods (and even across the Potomac River into nearby Northern Virginia), the area is full of outstanding venues that can take on any and all of your requests, plus more. Lose the stress in your planning process, and check out these top meeting spaces for close-knit events in Washington, DC and its surrounding area. 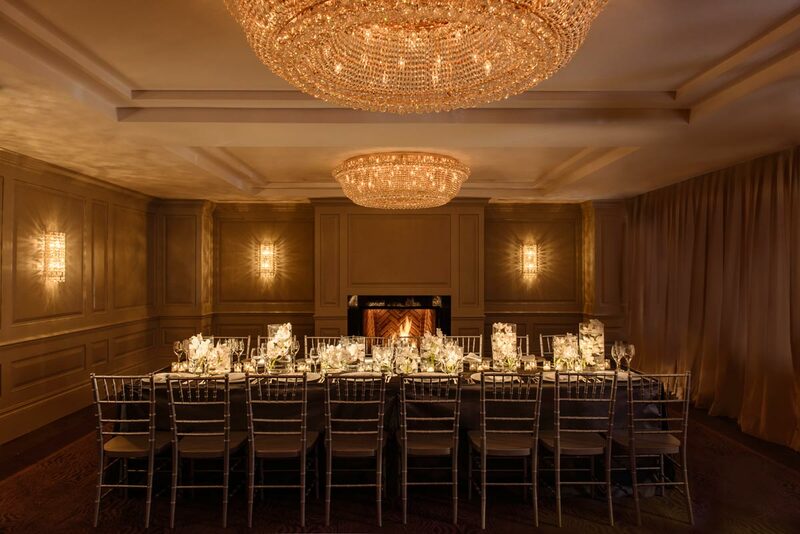 The Foxhall Ballroom is a 626-square foot gem inside the Dupont Circle Hotel, sporting a gas fireplace and a lot of natural sunlight. It’s one of many fantastic options inside the hotel, which includes 10,000 square feet of potential meeting space in total, in the midst of one of DC’s most popular neighborhoods. Beautifully presented food can be a difference-maker at an event. 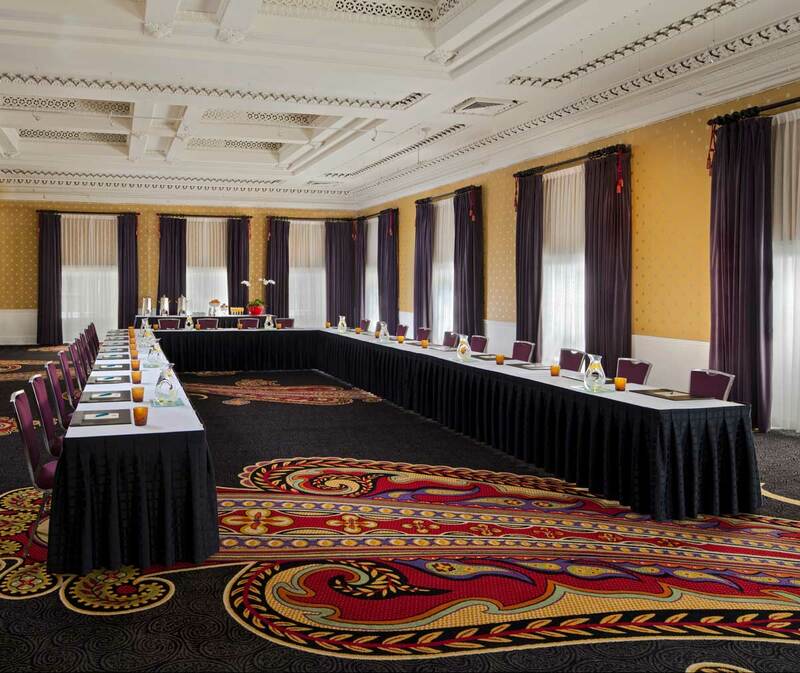 Situated near Georgetown, the upscale Fairmont Washington, D.C., Georgetown offers an array of flexible spaces, equipped to host an executive meeting of 10 or a conference of up to 500. The banquet menu is also full of creative deliciousness. If you’re all about atmosphere, it can’t get much better than a perfectly laid-out rooftop. The Rooftop at the Embassy Row Hotel overlooks Dupont Circle. Of course, kicking back and enjoying the company of your group is a must after the business is done, and cocktails on a rooftop in Dupont Circle sounds like the best kind of revelry. In the case of rain, you’ll also find ample meeting rooms inside the hotel. 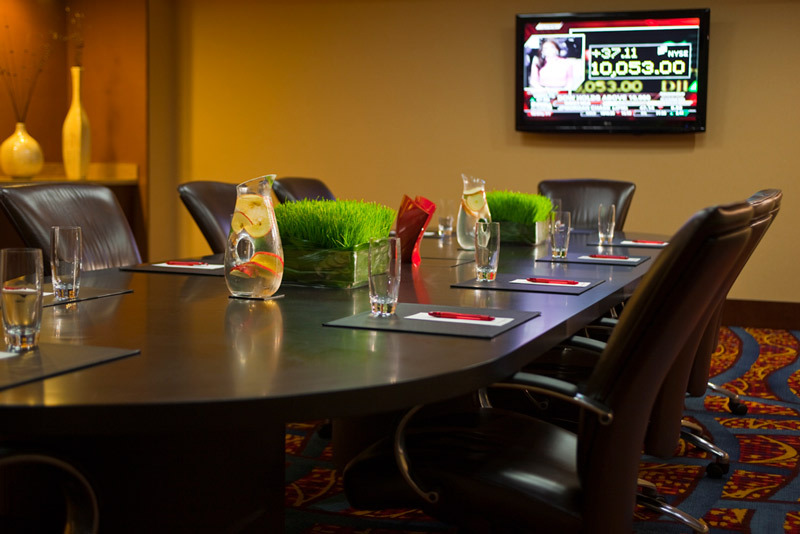 Take your meeting in style at Hotel Rouge, composed of 1,800 square feet of meeting room space across three rooms. Each room features state-of-the-art audio visual equipment, high-speed internet access and the hotel’s renowned scarlet decor. Once meeting time is over, head to Bar Rouge for sophisticated cocktails and relaxation. 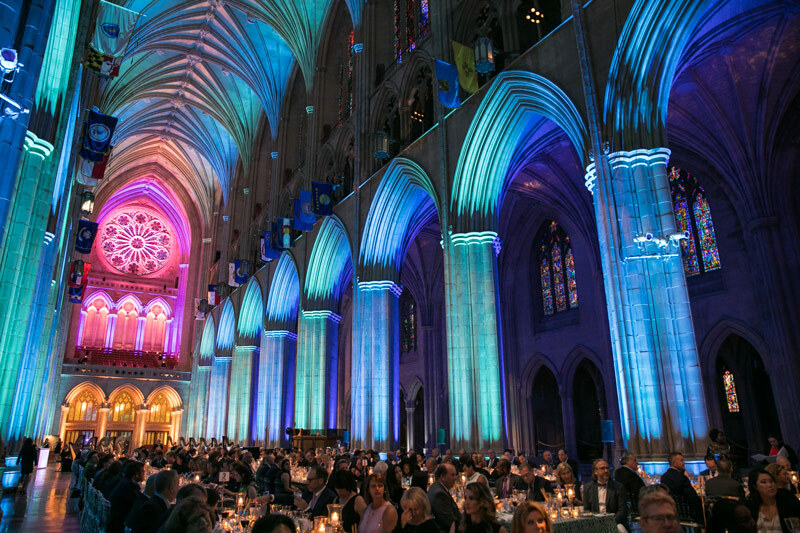 Besides its stunning exterior beauty and jaw-dropping interior, the Washington National Cathedral can also host your meeting or event with grace. Four separate spaces can be rented out, including the Bethlehem Chapel, the Cathedral’s Nave and the Pilgrim Observation Gallery, which provides an outstanding panoramic view of the surrounding skyline. 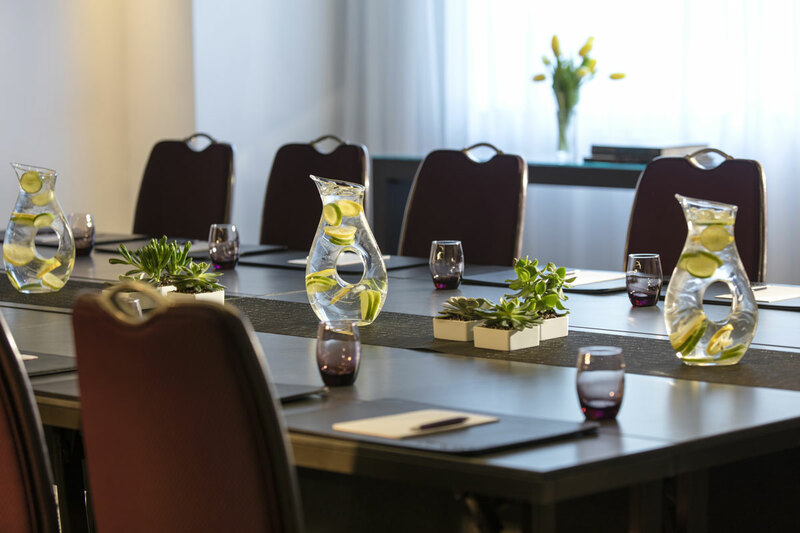 The Kimpton Donovan Hotel near downtown DC has all you need to host a memorable private meeting, including the Woodward and Bernstein meeting rooms that can comfortably handle anywhere from 10 to 80 guests. Other perks: planning assistance and a gorgeous rooftop deck with breathtaking views of the District. The Kimpton Carlyle Hotel has all your business lunch needs, from a sophisticated space to a menu catered by in-house restaurant The Riggsby from acclaimed chef Michael Schlow. The hotel also sports an ultramodern A/V set-up and tech support so your meeting can run as smoothly as possible. With more than 15,000 square feet of meeting space available, you can bet that Washington Marriott at Metro Center has a room that will suit your group perfectly. Experienced on-site meeting planners will help you outfit your occasion to a tee, including high-end technology in any of its 12 spaces dedicated to business assemblies. The hotel’s ideal location is a gateway to the city’s monuments and downtown adventures. The Washington Marriott Georgetown may be in a historic neighborhood, but its meeting spaces are as modern as they come. With more than 21,000 square feet of flexible meeting space and the latest meetings technology, there’s a great meeting space waiting for you. The hotel’s conference suites are perfect for even smaller groups and executive meetings. History meets modernity at the Kimpton Hotel Monaco, an elegant District institution with three boardrooms (more than 5,500 square feet total), all of which emanate style while providing comfort and that special Kimpton flair. Since the hotel is situated in Penn Quarter, meetings-goers can visit museums during daytime breaks and enjoy foodie adventures during the evening. The Kimpton Hotel Palomar has breakout space galore, with more than 10,000 square feet worth of stylish meeting areas. You will be impressed before you even sit down, as each room boasts its own decorative feel, and the hotel provides excellent A/V packages. Don’t forget to order lunch from the acclaimed Urbana, located on site. 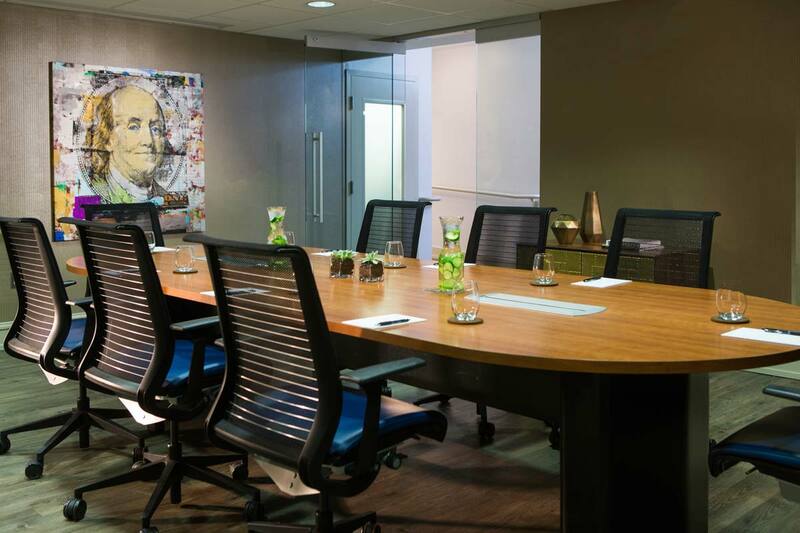 Get presidential vibes when you book your meeting at the JW Marriott Washington, DC, which provides 37,000 square feet of flexible meeting space just steps from the White House. Pick from 29 meeting rooms to find the one just for you, and if you have work to do back at your guest room or suite, no worries: all 777 are equipped for business as well. Named after the first Commander-in-Chief, the Kimpton George Hotel is easy to reach (very close to Union Station and the U.S. Capitol) and easy to love. Expect a warm welcome, delicious French fare from Bistro Bis, classic decor and an anticipatory staff sure to alleviate any meeting-day stress. Located just steps from the Walter E. Washington Convention Center (in fact, it’s connected via underground concourse), the Marriott Marquis Washington, DC appropriately offers more than 100,000 square feet of meeting space (more than 50 rooms in total). Fully-equipped rooms are as aesthetically pleasing as the hotel’s exterior and lobby, and two smaller ballrooms make for spacious spots to host a group. The Kimpton Hotel Madera welcomes small groups with open arms, as up to 25 people can enjoy a quiet, comfortable setting. The Mahogany Room is ideal for business followed by pleasure, as its outdoor balcony is great for post-meeting revelry. Speaking of comfort: in-house restaurant Firefly caters to your attendees with delicious farm-to-table American fare. DC’s largest conference hotel, the Washington Marriott Wardman Park, is situated close to the Smithsonian National Zoo, and provides a reclusive, private atmosphere that is sure to make your meeting hum. A staff that sports years of experience, the ability to host green meetings and the plethora of options that come with 193,000+ square feet of meeting space are plenty of reasons to book your meeting here.